Koeberg Alert Alliance is an NGO committed to the well-being of South Africa on both a social, environmental and economic level. 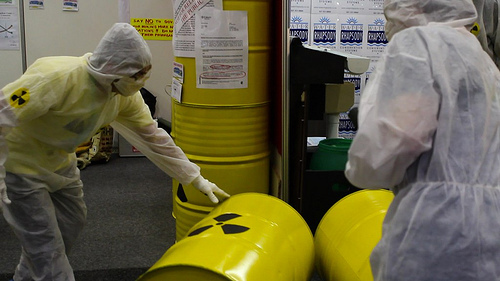 We are not only an anti-nuclear organisation but are also advocates for the green economy. Our governments plan to build 6 new nuclear power plants is poor foresight and a great injustice on future South African generations. Our organisation is mostly run by a group of dedicated volunteers who give their time and skills for the prospect of a nuclear power free country. We depend on donations to educate and mobilise people and their communities about the reality of nuclear power and how we can implement renewable sources of energy. A training the trainers workshop with Right 2 Know members. 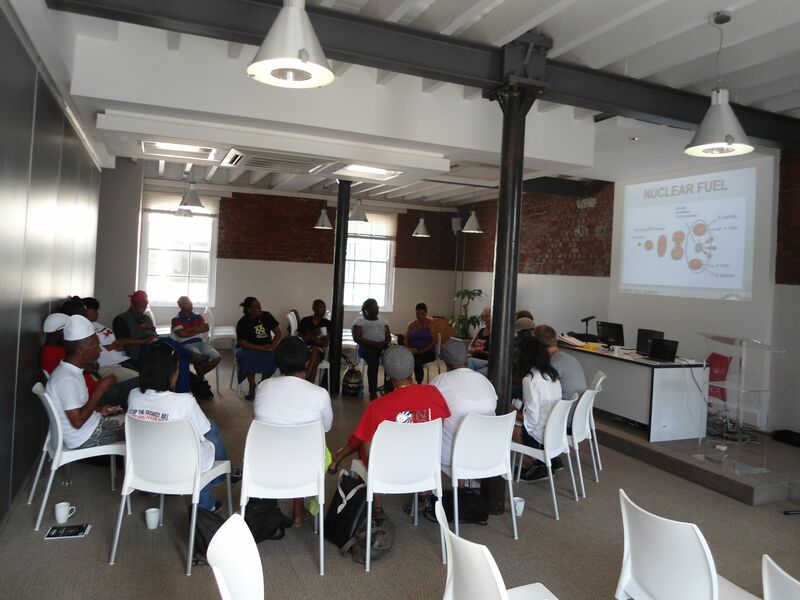 Our workshops have empowered individuals and organisations with the skills to engage their communities around the question of nuclear power. We believe that if South African communities know the reality of nuclear power they would object to the proposed plan to build 6 new nuclear power stations. However de-constructing the illusion that nuclear power is safe and clean is only one aspect of the workshop. We also educate people about the abundance of renewable alternatives that create the sustainable future so many South Africans desire. 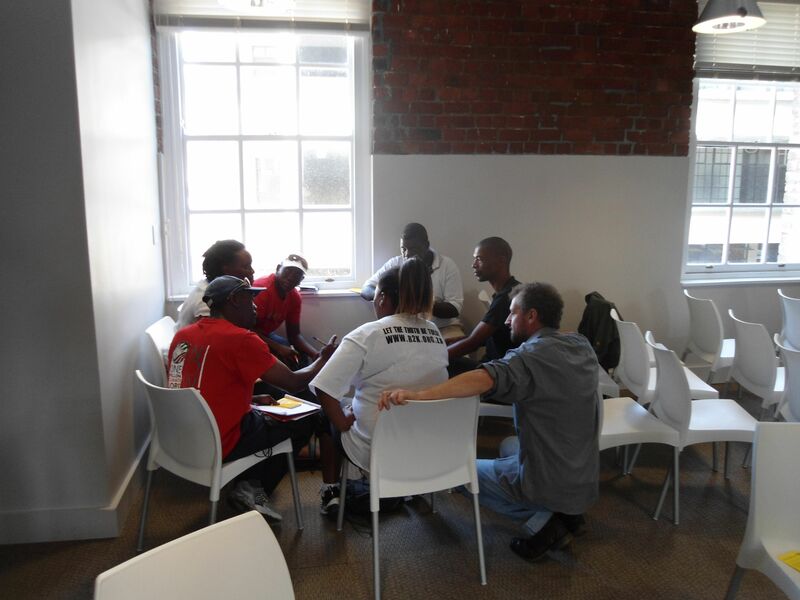 A group of people from partner organisations brainstorm about how to educate their communities about the reality of nuclear power. 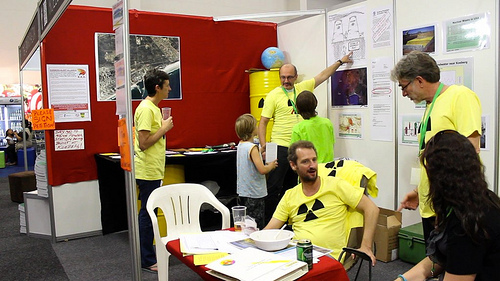 Koeberg Alert Volunteers assisting at the Koeberg Alert Alliance stand at the Green Expo. 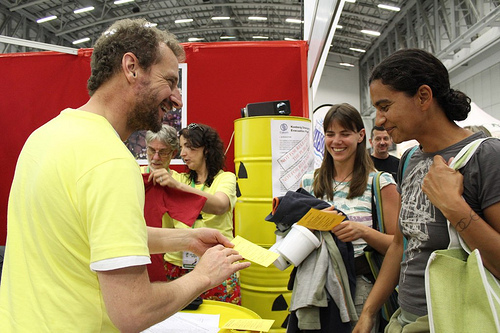 Fairs and Expo’s are perfect places to engage people around the question of nuclear power. Its is also vital for growing the support of Koeberg Alert Alliance as an organisation that represents the interests of all South Africans. Here people have access to information on nuclear power and how renewable energy can move our country forward in a sustainable way. Koeberg Altert member informs the public about the negative effects of nuclear power, governments plans to build new nuclear power stations and the steps they can take to make a difference. Street theatre at the Green Expo. Street theatre is great way to plant seeds of conciousness about nuclear power and helps lay the foundation for deeper inquiry about nuclear power in South Africa. 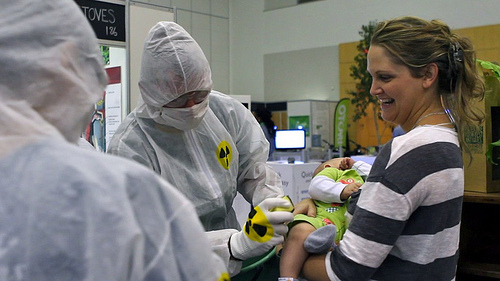 A baby gets a mock radiation test. Invest in a future where renewable energy replaces nuclear energy! If you are donating from a South African bank account, it is simplest and cheapest to do an EFT into our account. Our South African bank details are: FNB, branch 21004646 (Shop 18, Kenilworth Centre, Chichester Rd, Kenilworth, 7800, Cape Town), account number 6233 2652 991 (SWIFT code FIRNZAJJ).